The Inspector-General of Police, IGP Solomon E. Arase, has ordered the disarmament of the armed Independent People of Biafra (IPOB) activists. This was state in a press release issued by the Force Public Relations Officer, Headquarters, ACP Olabisi Kolawole stated on Monday. 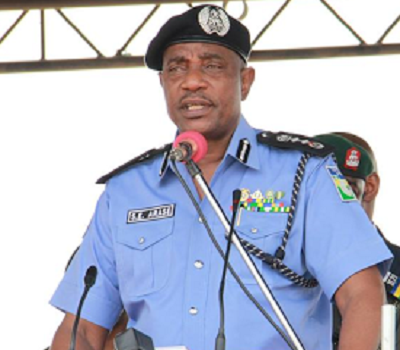 She said that following the manifestation of the disposition of the armed IPOB activists to undertake premeditated attacks on Police officers engage in operations aimed at restoring public order in States in the South-East and South-South geopolitical zone of the country, the IGP gave the directive to the the Assistant Inspectors General of Police and the Commissioners of Police in the affected area to disarm members of the group operating firearms immediately. Kolawole stated that the IGP noted that the targeted attacks on Police personnel, who have been performing their statutory functions in the most professional and civil manner since the latest resurgence disorder, portrays the IPOB activists who are orchestrating the insurrection as having crossed the threshold in their misguided attempt to test the common will of the nation. “IGP Arase, while condemning the killing by members of IPOB, also directed the arrest of any member of the group found in possession of firearm and bring him/her to deserved justice, while all IPOB activists arrested in connection with the killing of the Policemen should be charged to court for murder.” She added. She said that the Nigeria Police Force will continue to diligently work towards eliminating any threat to internal security and assured Nigerians of its commitment to their safety and security.